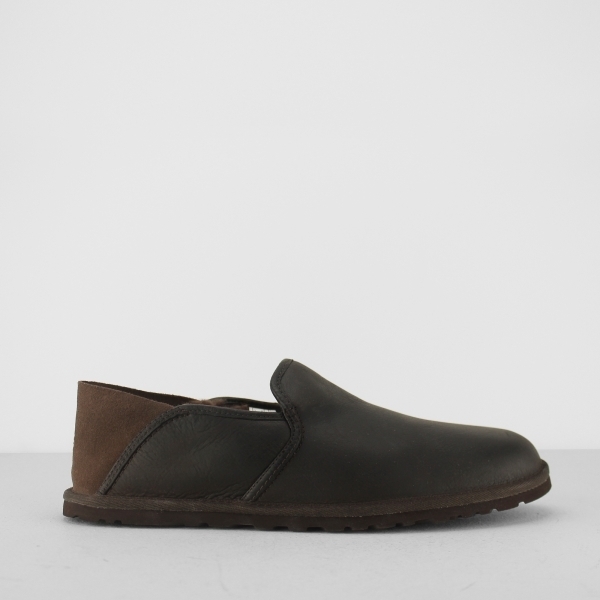 Treat your feet to the luxury and comfort they truly deserve in these mens Cooke slippers by UGG. Made using a quality full grain leather upper, your feet are able to breathe, along side the moisture wicking insole, feet stay fresh and healthy all day long. Be in a world of cosy comfort as soon as you slide your feet in as the 10mm UGGpure™ wool lining surrounds them with all the warmth you could dream of; ideal as the months get cooler. Slip them on and off at ease in a full slipper style and look as good as you feel with a laser etched UGG logo.